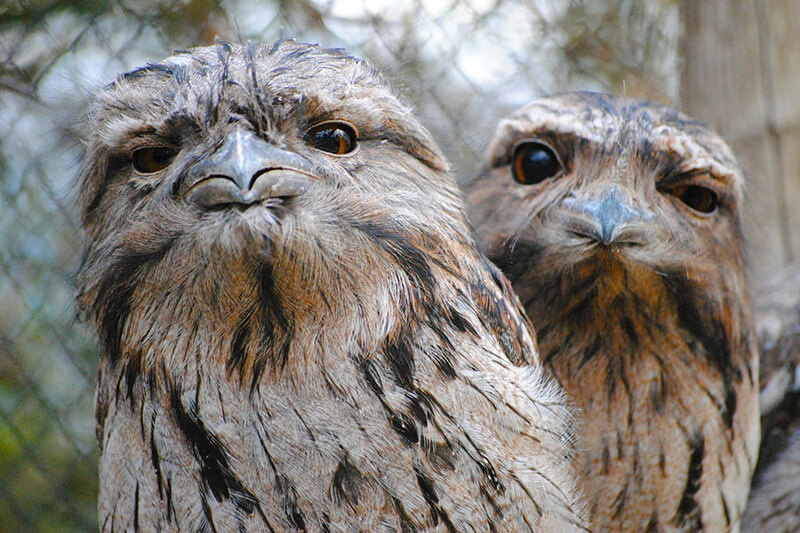 We designed this Tasmania Vacation Packages: Wildlife and Wilderness journey for a couple from Denver who were avid photographers. 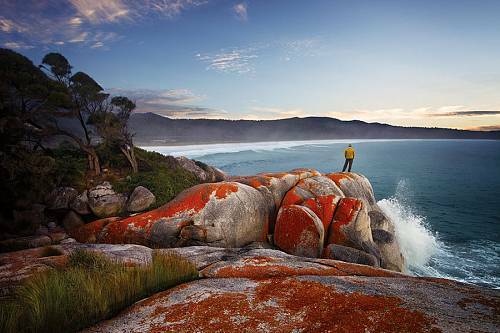 Tasmania has some of most pristine wilderness scenery on the planet, as well as some of the purest air and water. 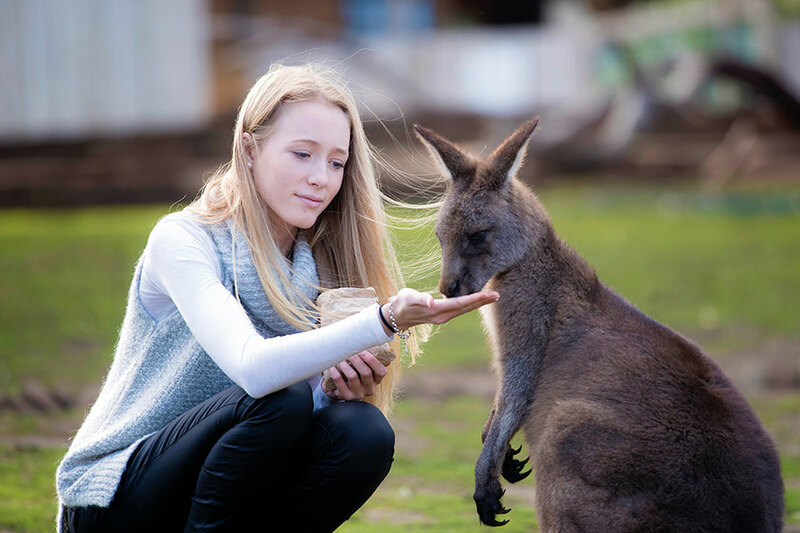 This unique vacation package took them to some of the most breathtaking corners of Tasmania, where they captured some amazing shots of mountains, lakes, rugged coastline, and iconic Australian wildlife. 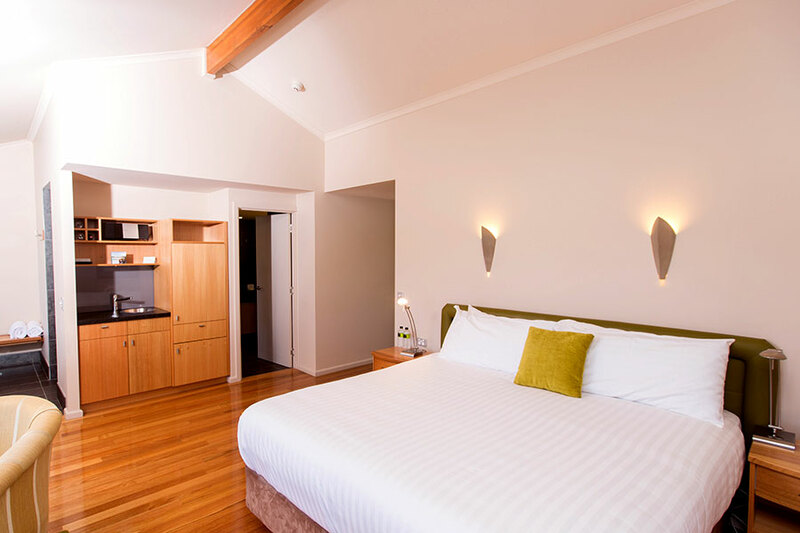 Their Tasmania Vacation Packages: Wildlife and Wilderness journey began in the gorgeous Cradle Mountain National Park. They were able to explore awe-inspiring craggy mountains, deep valleys, heathlands, button grass moors, and ancient forests right from their hotel. They even rose early one morning and were rewarded with a breathtaking shot of Lake St Clair at sunrise. Next, they drove to the small town of Scottsdale, their starting point for a privately guided, 3-night wildlife encounter. Led by our good friends at Pepper Bush Adventures, they explored some of Tasmania’s most pristine wilderness. They had a very special experience enjoying a gourmet campfire dinner and watching in awe as wallabies, quolls, possums, and more wandered right up to them. 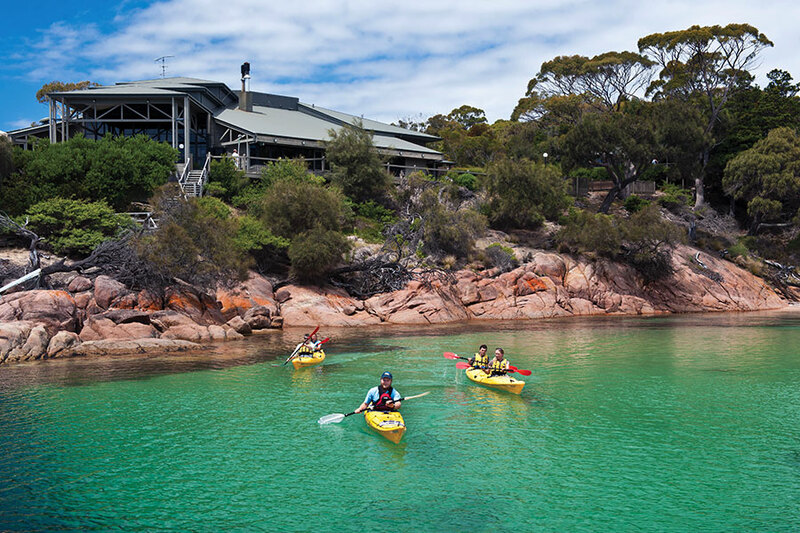 Continuing their Tasmania Vacation Packages: Wildlife and Wilderness journey, they drove to Freycinet National Park, where granite mountains meet turquoise ocean and white sand beaches. 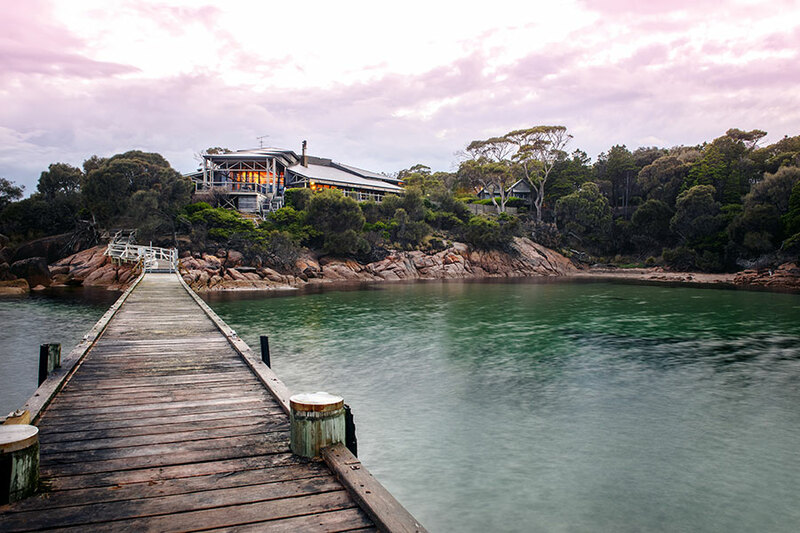 They enjoyed gorgeous coastal hikes to Wineglass Bay, the Bay of Fires, and more. The next day, they drove down to the capital city of Hobart. This port city is a hub for Tasmania’s quirky art and culture. 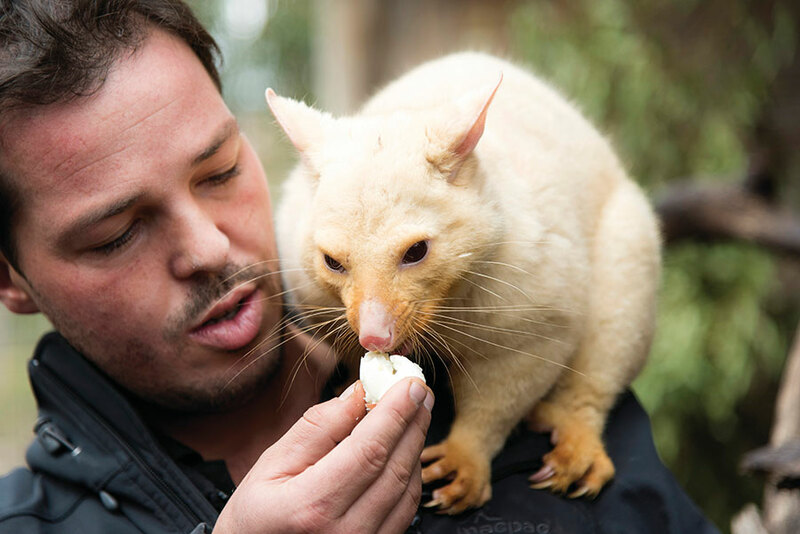 In Hobart, they had an incredible after-hours tour of Bonorong Wildlife Sanctuary. 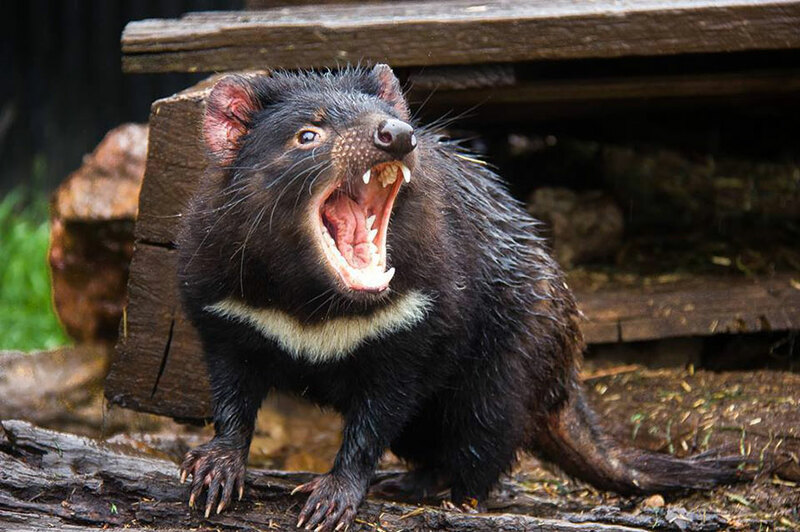 They got to hand-feed kangaroos, quolls, sugar gliders, and more, and got to meet the elusive Tasmanian Devil. They also had an eco-adventure cruise to Bruny Island, and even saw some dolphins and seals on the way there. 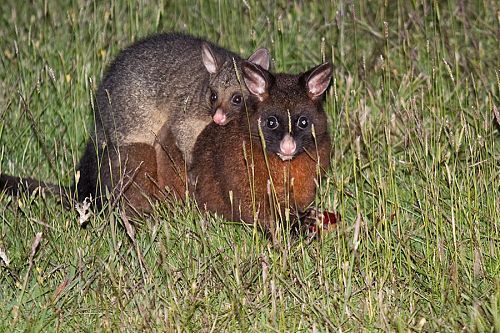 They come home from Tasmania with memories to last a lifetime—and some amazing photos of the coastal scenery and their favorite Aussie critters! Welcome to Tasmania, Australia! Arrive in Hobart, pick up your rental car, and make your way into high country. 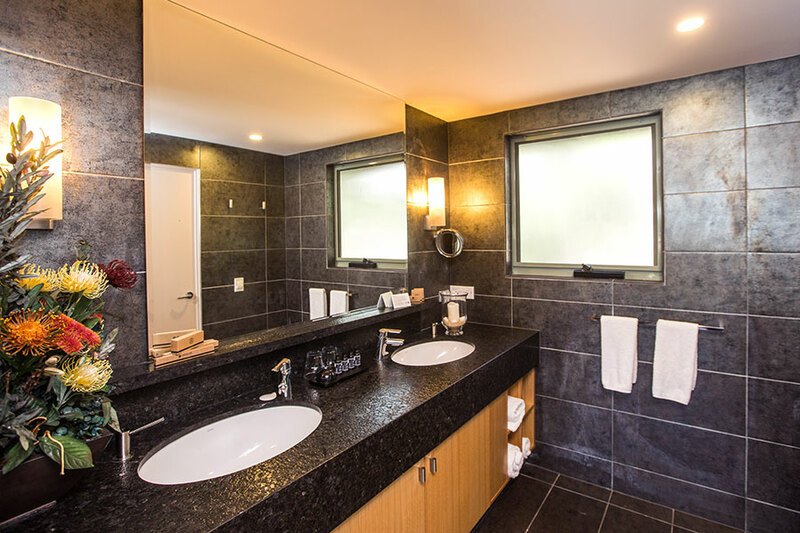 Your home for the next 3 nights is supremely located within Cradle Mountain/Lake St. Clair National Park. The next 2 days are yours to spend at your leisure exploring the breathtaking natural park at your doorstep. The hiking and wildlife here are incredible. Explore awe-inspiring craggy mountains, deep valleys, heathlands, button grass moors, and ancient forests. 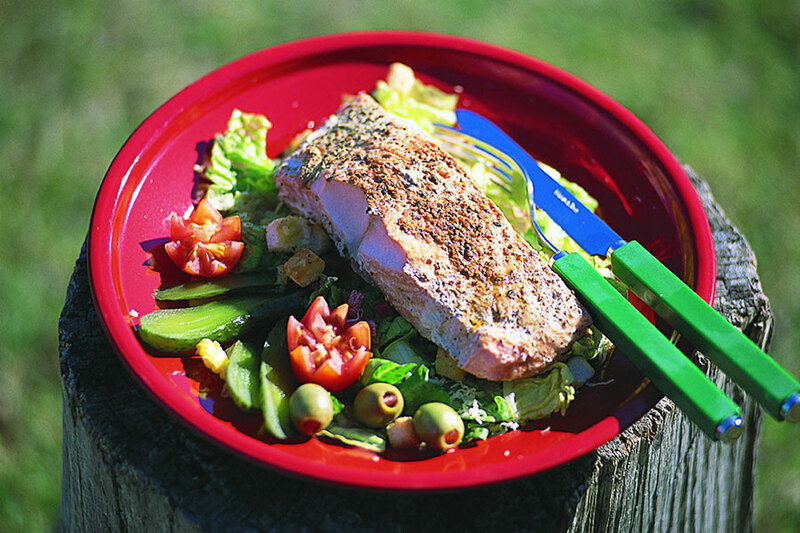 You can also try canoeing, fishing, or other outdoor pursuits in this iconic corner of Tasmania. After a day full of adventure, your cozy hotel is the perfect place to enjoy a delicious meal and relax by a roaring fire. Drive today to Scottsdale, about 3 hours northeast. 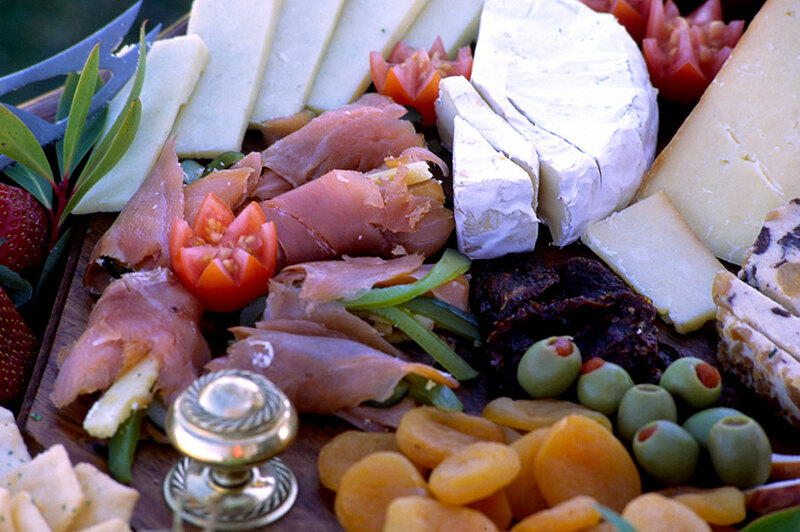 You may want to visit some wineries for a tipple along the way. Rarely visited and full of wilderness and wildlife, this corner of the island makes Tassie famous. You’re truly out in the countryside here! Meet up with our favorite guides at Pepper Bush Adventures and embark on a mission to spot the elusive platypus out in the wild. 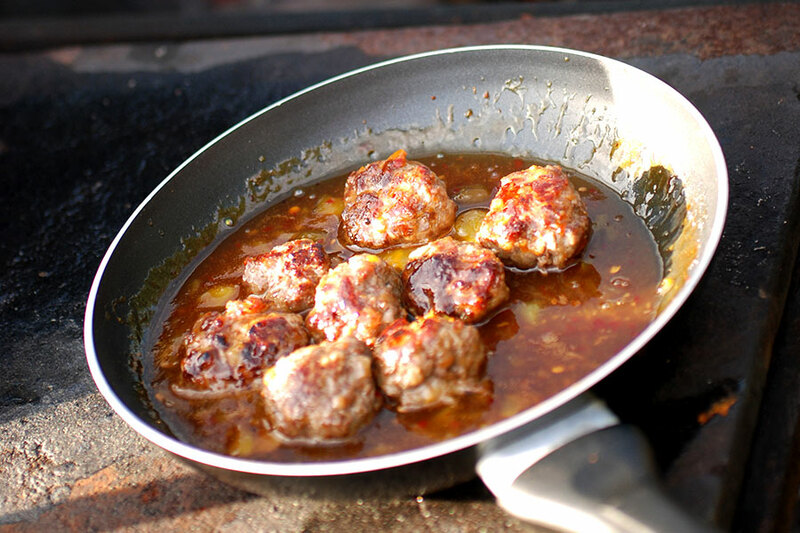 Enjoy a hearty campfire meal and enjoy Tassie beers as the sun begins to set and wildlife including wallabies, possums, quolls, and more wander right up to your camp. Spend the night in a friendly B&B, spotting additional wildlife along the way. 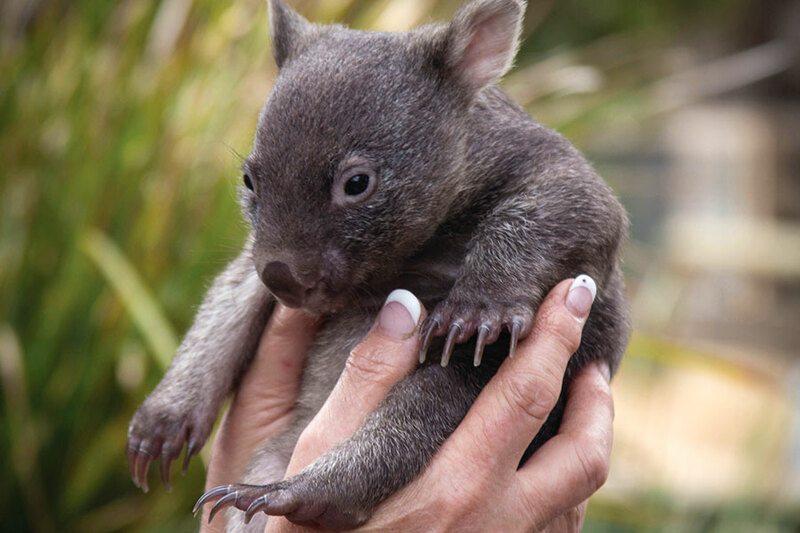 Your Tasmanian wildlife adventure continues today! Travel with your guide to Mt. 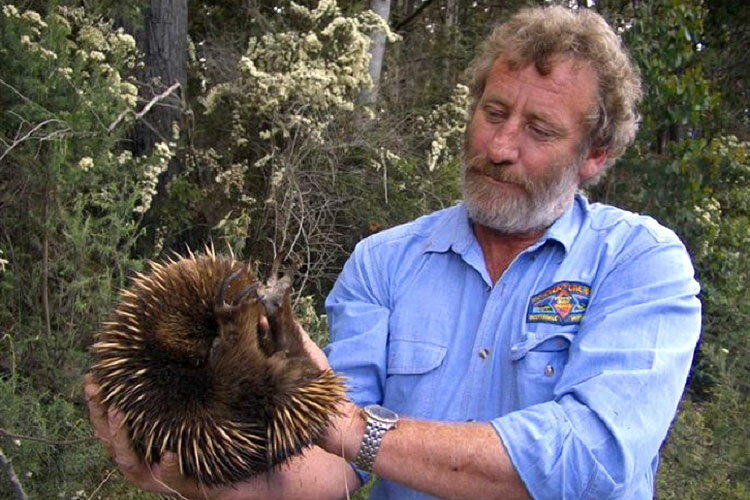 William National Park seeking 2 unique, iconic Australian animals: the platypus and echidna. 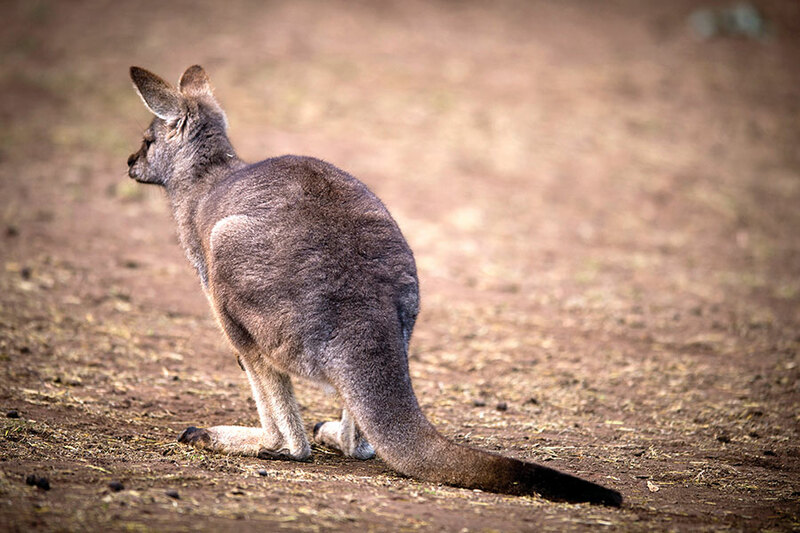 Take a stroll on the stunning Bay of Fires beaches and see the resident wildlife, including wombats and Forester kangaroos. 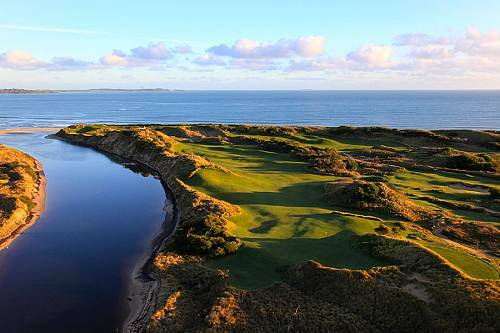 Enjoy the crisp air and crystal-clear waters in this ruggedly beautiful region of Tasmania. Leaving your B&B after breakfast, travel to Ben Lomond National Park, a mountain of stunning columns and slopes of loose stones. See the second highest peak in Tasmania, Legges Tor, and its impressive views. Opt for the summit hike or stay put and stand amongst the forest giants at Tombstone Creek Forest Reserve. 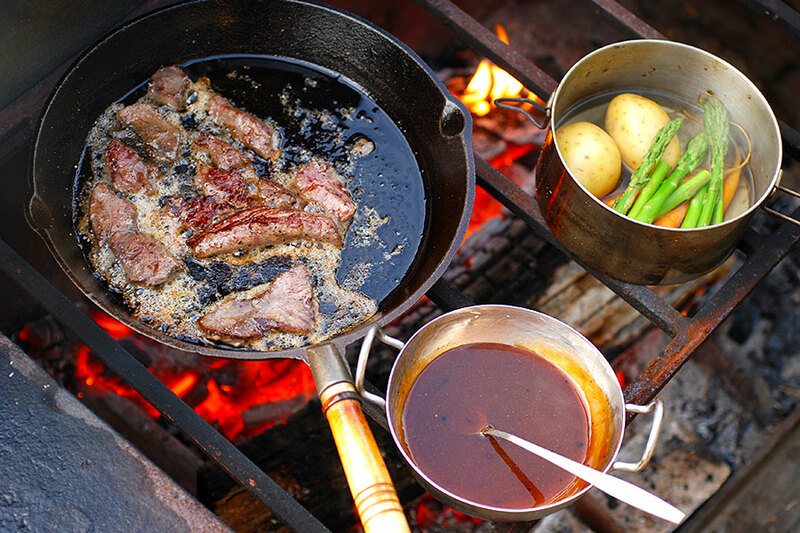 Then dig into a gourmet campfire dinner and enjoy evening wildlife spotting. 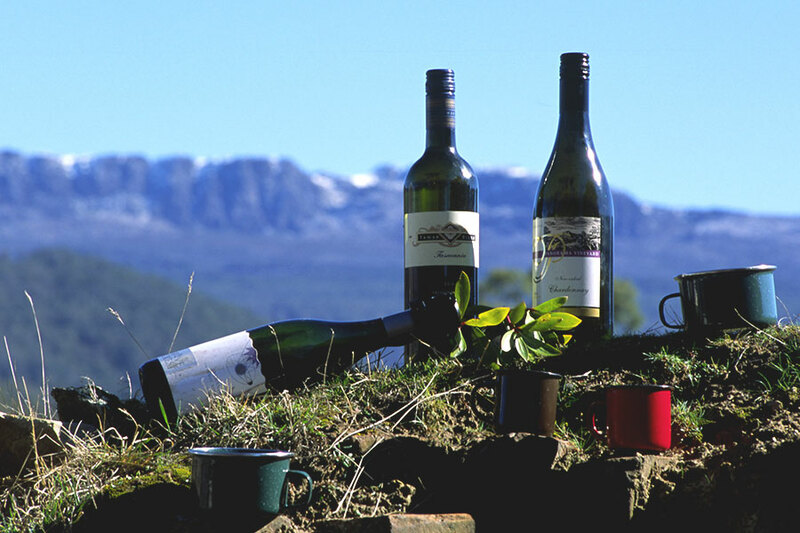 Sit and watch with a glass of Tassie wine as the forest comes alive with nature’s nightlife. 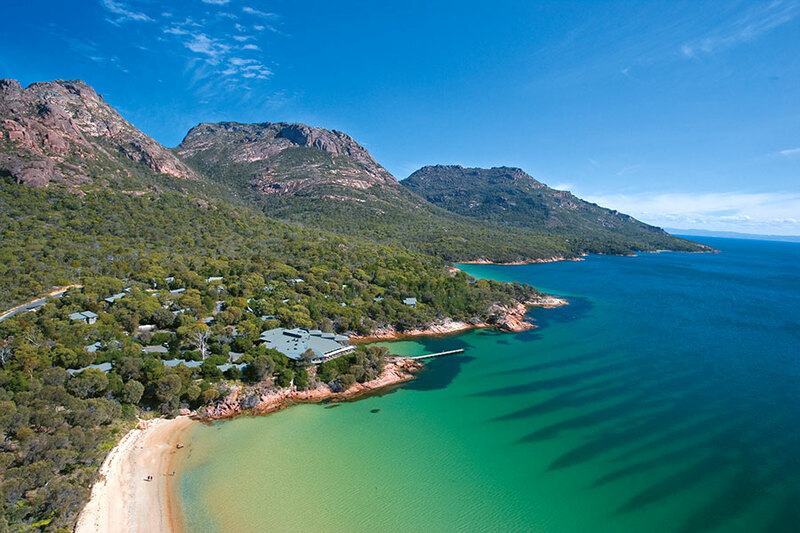 Drive about 2-3 hours to the northern reaches of Freycinet. 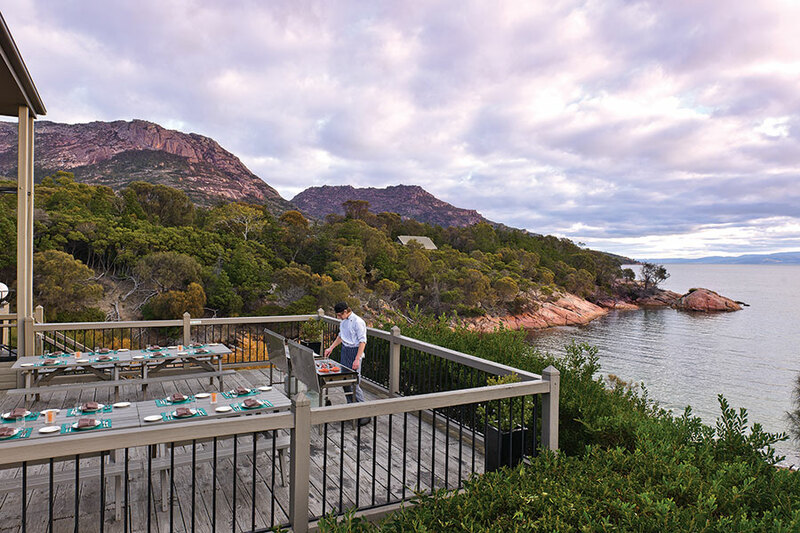 This peninsula of granite mountains, dazzlingly white beaches, and turquoise sea forms part of the Freycinet National Park. 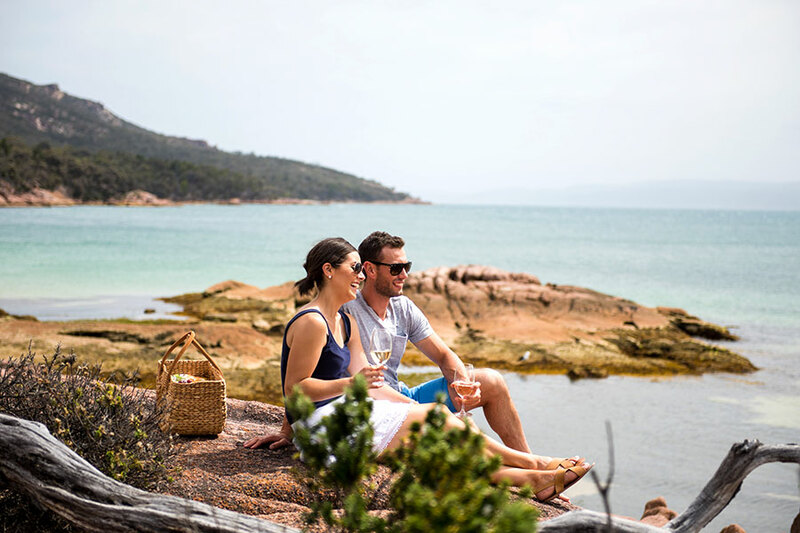 Enjoy a hike to the famous Wineglass Bay with a picnic backpack. Be sure not to miss the penguins at sunset, as they waddle up the beach and onto your hotel property to nest in the shrubs for the evening. 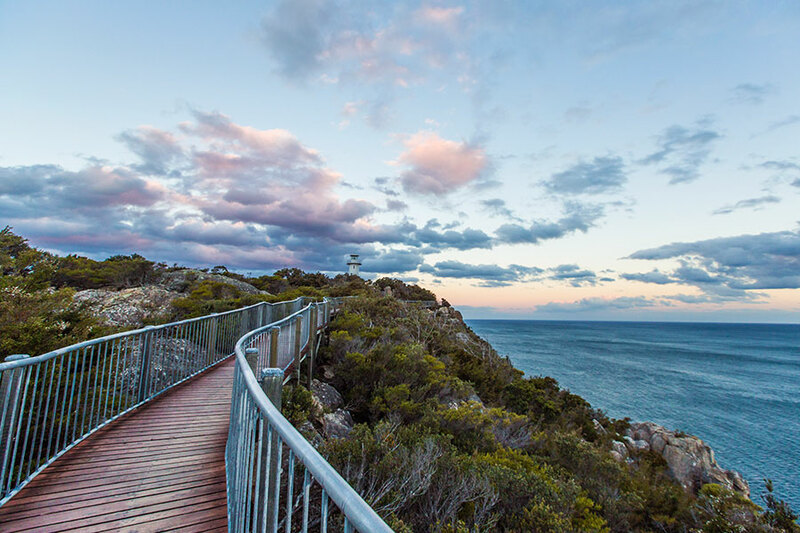 You have time for an early morning hike today in Freycinet National Park. 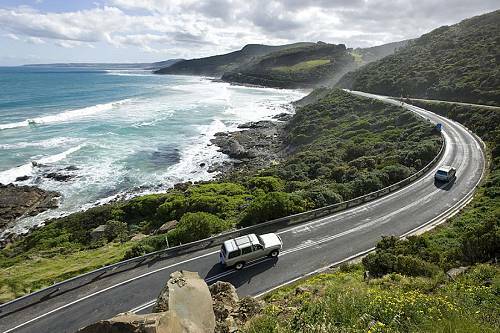 Then, drive through rugged wilderness to the southern corner of the island today, making your way to the capital city of Hobart. 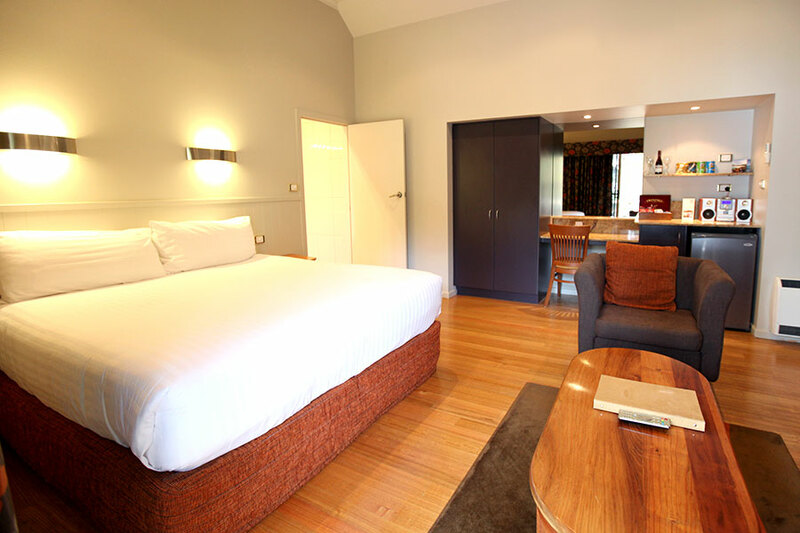 Your hotel truly reflects the quirkiness of Tasmania, with each room uniquely designed to tell the story of a real Tasmanian character. 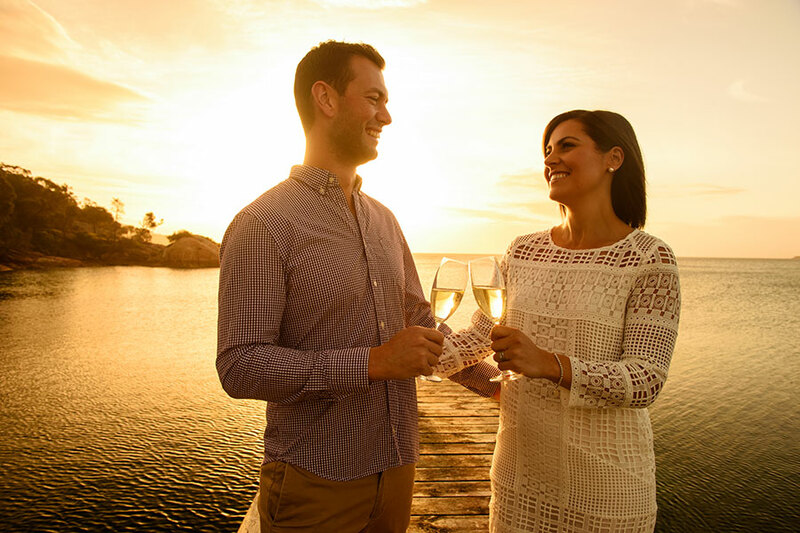 Spend some time exploring the property and learning about the history of this one-of-a-kind place; the hotel staff will be happy to guide you. 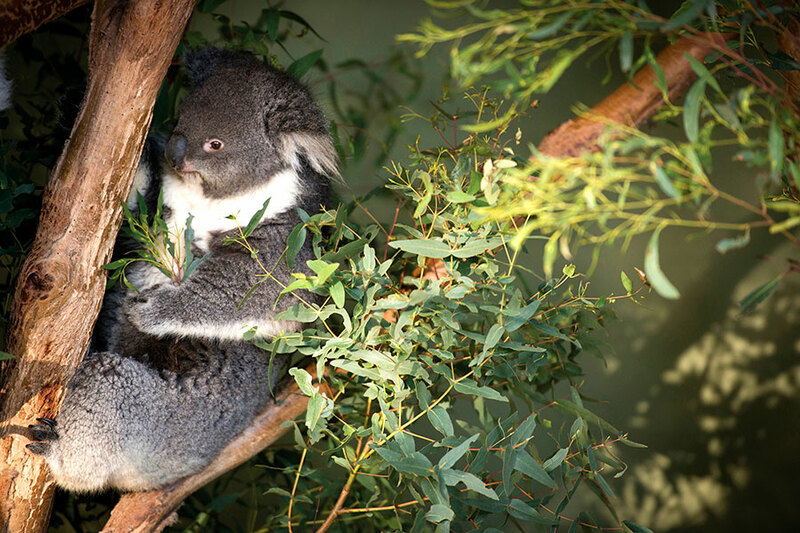 This evening, make a short drive to Bonorong Wildlife Sanctuary for an exclusive tour. Your fully guided private tour starts when the sanctuary gates have closed and all other visitors have left. 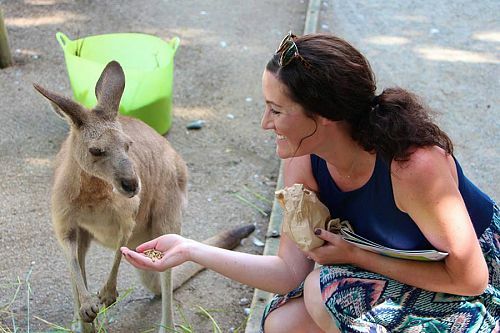 Spending time hand feeding and scratching the kangaroos as the sun sets over the valley below is a perfect start to this interactive experience. 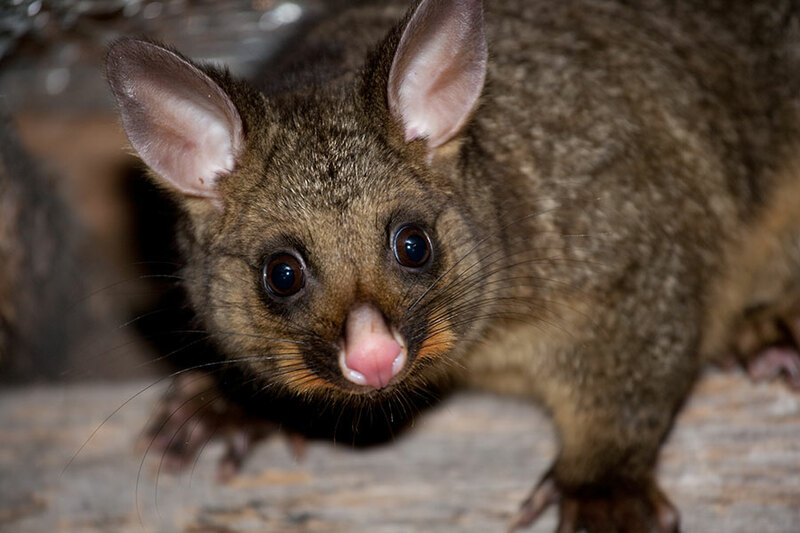 You’ll hand-feed Eastern quolls, tawny frogmouths, and sugar gliders. 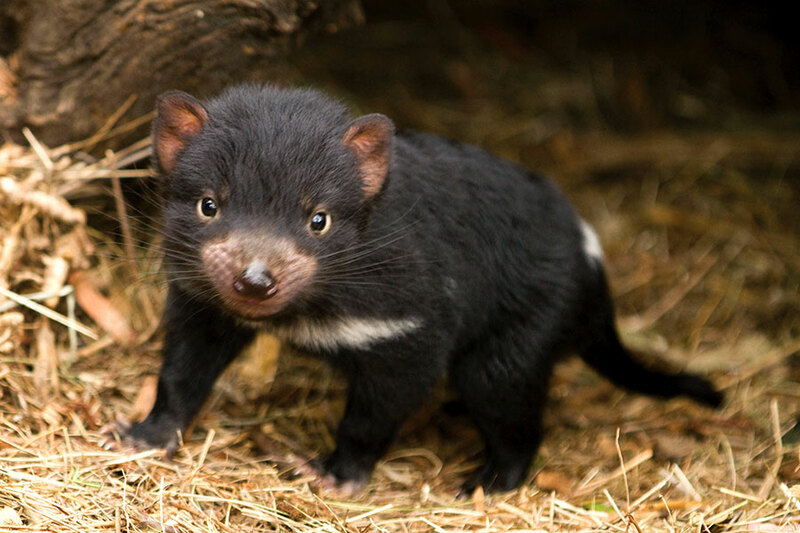 You will also be able to have a “tug of war” with the Tasmanian devils for their dinner. 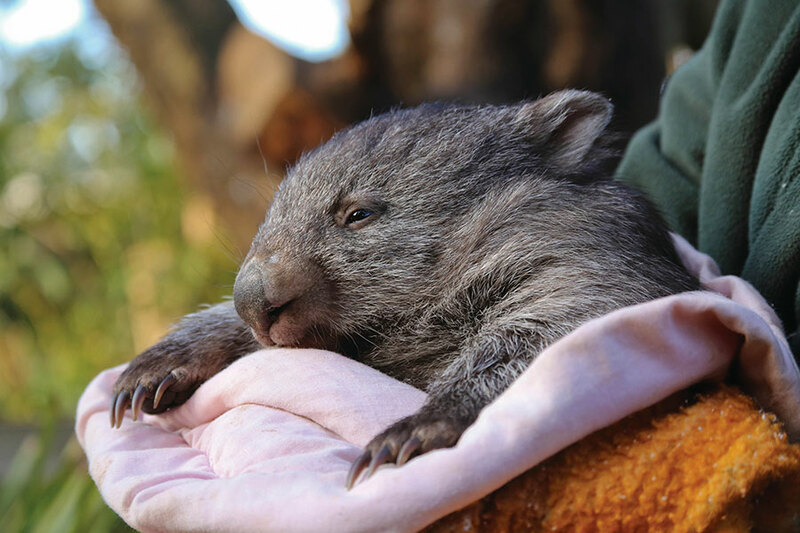 Then you’ll meet some incredible survivors (many of Bonorong’s animals are recovering from injury or are orphans), and learn how they are being helped to get back into the wild. 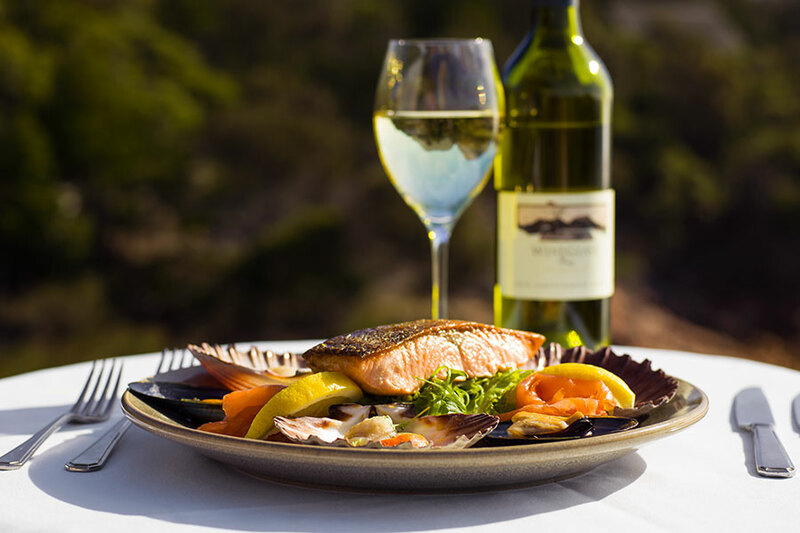 Today, enjoy an eco-adventure cruise of Bruny Island. Enter deep sea caves, pass through the narrow gap between the coast and “The Monument,” and feel the power of nature at the point where the Tasman Sea meets the might of the Southern Ocean. Join in the search for coastal wildlife such as seals, dolphins, migrating whales, and sea birds. 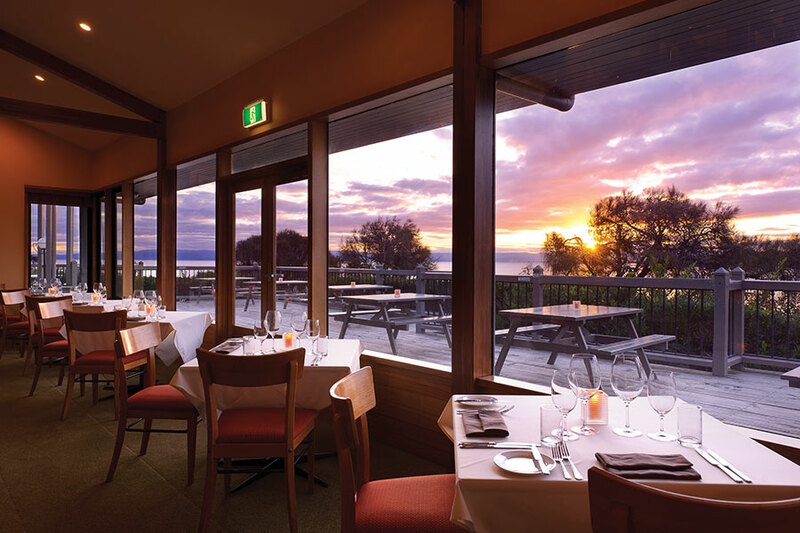 Enjoy lunch at a beachside cafe before returning to Hobart. 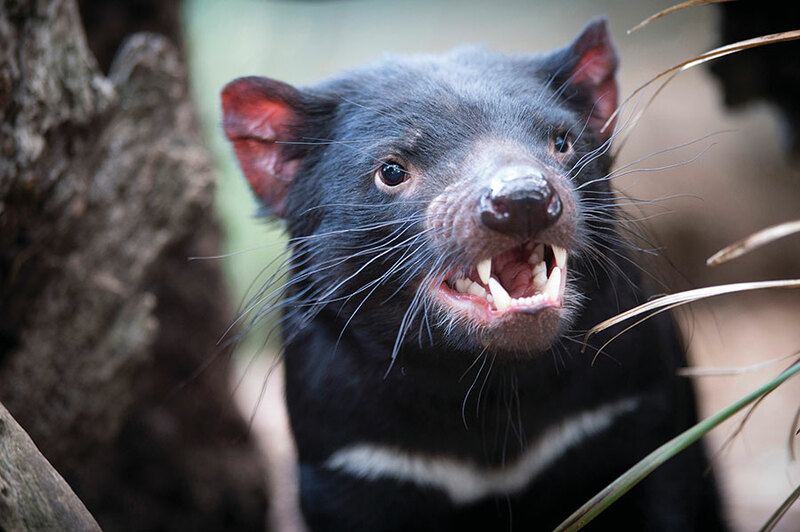 Your incredible Tasmanian adventure comes to an end today. Drop off your rental car at Hobart airport and join your flight up, up and away.